Home / News / End of HIV? Study of vaccine starts in South Africa. End of HIV? Study of vaccine starts in South Africa. The world expresses optimism as the National Institutes of Health (NIH) embarks on its first in seven years test on HIV vaccine. According to the health institute, the combination of the vaccine and the proven HIV prevention tools will put an end to the deaths caused by this virus. The previous study in Thailand 2003 gave 31 percent effectiveness but the new South African study will use a HIV vaccine that is similar to the one used in the Thailand study but that has been modified to provide greater and longer-lasting protection. South Africa was chosen due to the high rate of the virus spread and as was previously mentioned, the difference between the Thailand study and that of South Africa will be a little modification. 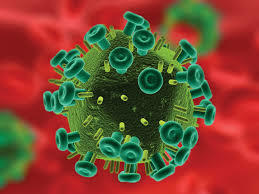 In the Thailand study, researchers used two vaccines: one called ALVAC-HIV, which consisted of a bird virus that had been modified to contain three HIV genes, and another vaccine called a protein subunit vaccine, which contained a genetically engineered version of a protein found on the surface of HIV, and that of South African study will use these two vaccines, but with some key changes. Both vaccines in the new study have been modified to protect against a subtype virus known as HIV subtype C, which is found in especially high numbers in South Africa. In addition, the protein subunit vaccine used in the new study will contain a different adjuvant (an ingredient added to a vaccine to boost its effects) than the one used in the Thailand study. And the South African study will include a booster shot after one year, with the hopes of prolonging the protective effect.